Blogger Prom: Our Leading Man & Lady Are . . .
yay joz! i just saw her last night! Oh, its really nice seeing this perfect match couple in the prom. 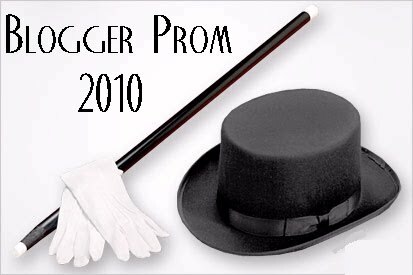 I missed my prom event when I was still a senior. I was once also crowned in our prom. My mother bought my gown online while I had chosen the designer prom shoes from http://www.promrunway.com/ to match my dress. Well, I hope its not too late to congratulate you both. oh great couple really very nice. I bought prom dresses from www.shopshop.com very nice dress. This dress is very great! I'm looking forward to buying same suit. Arranging and selecting the best prom suits for a promenade is always fun for me!